As one of Maldives’s largest travel agencies, we offer the widest variety of holiday deals anywhere in the Maldives, be it exotic resort hotels, or lavish safaris, excursions of any type or even exclusive Private Island deals. We are more than just travel specialists, Our specialties include planning quality custom-made packages at best prices, arranging luxury holidays for VIP clients, representing and handling travel agents, providing super-yacht charters and aviation ground-handling assistance. Our strength stems from the fact that we have direct contracts and allotments with over 100 resort hotels and safari yachts across Maldives. We have very strong relationships with local authorities, hotels, airlines and the tourism industry in general and there are no doors that will not open for us in this Industry. Hence, we offer prices like no other and a full range of other services along with best local expertise. Our team comprises of travel professionals from around the world. More than just experienced, they are thorough, knowledgeable, courteous helpful and available to you at all times. 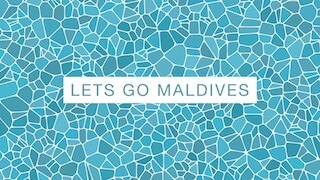 We have expanded LETS GO MALDIVES and at present we have branches in Istanbul, Shanghai and Moscow. We also offer you infinite possibilities with our own luxury yacht and exclusive Private Island. MY ANASTASIA is a magnificent cruise yacht designed for the ultimate safari experience in the Maldives, its remarkable design and amenities combined with excellent crew will give a unique Maldivian experience. This is a floating island at your command, you need only request, and we will take care of the rest. Our private island ‘Green Island Maldives’ is the ultimate hideaway fantasy – the ultimate private paradise secluded from the vast public yet sparkling so bright in its exquisite beauty. Situated on the privately owned island of Hibalhidhoo in Baa Atoll, this nature’s haven is one of the largest uninhabited virgin islands of Maldives. We offer you selective private villas designed to capture the very essence of luxurious hideaway dream. Our name today stands as one of the biggest brands in Maldives, synonymous with reliability, innovation, utmost commitment and beliefs in hospitality, professionalism, sincerity and quality.